On Easter morning, kids will be scampering around searching for presents from the Easter Bunny. One thing you don’t want them to find is ants that might be attracted to the delicious goodies. Protect your home with ant control services from Brezden Pest Control. Our home pest control services destroy the ants’ nests and eliminate the trails they use to get into your home. 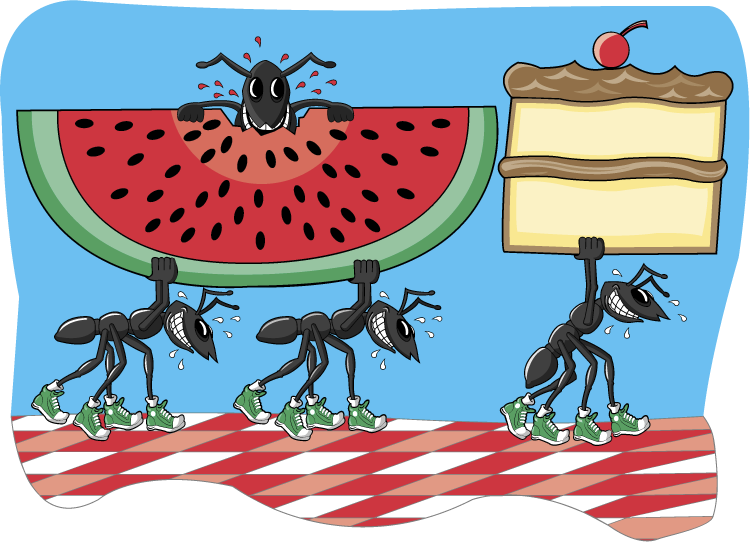 Keep Your Home Clean: Ants are amazingly adept at finding crumbs, open boxes, and any food that is left sitting out on the counter. Keep your floors, counters, and kitchen clean and you won’t be putting out the welcome mat. Remove Rotting Wood: After winter is over, you may find that some of the tree limbs or firewood outside your house has rotted. This is a sure invitation for ants who love to nest in rotting wood. Do a Home Check: As we get closer to summer, you should do a quick check around your home to look for things that might attract ants. Fix any leaking faucets or outside taps, seal any cracks in your driveway or home foundation, and trim back any foliage that brushes up against your house. If any of the wood in your home has become damp or spongy as the result of a roof leak, plumbing problem, or flood damage, it should also be replaced. Watch for the Ant Trails: Once one ant finds something yummy to munch on, it leaves a scented trail so the other ants can join in the fun. Water alone won’t get rid of this stubborn trail. Try mixing some vinegar with water in a spray bottle, and spray that on any ant trails. Pantry Tips: While it doesn’t help eliminate ants, some people find that taping a bay leaf to the inside of a canister lid or putting a small sachet of bay in the pantry can help keep ants away. 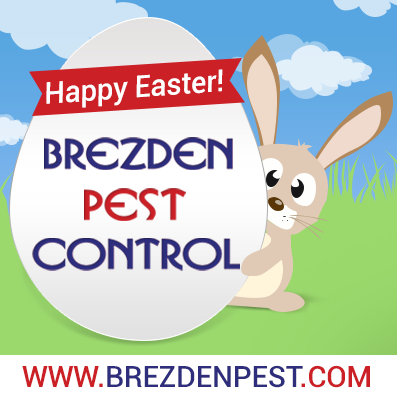 Call Brezden for a spring pest inspection and we’ll make sure your home doesn’t have any annoying pests that can invade your house this Easter. Whether you need home or commercial pest control, the professionals at Brezden Pest Control will handle your pest control problems quick as a bunny so you can get back to the fun!